This photo is from the wedding of Stephanie and Matt that was featured in Today's Bride Magazine. 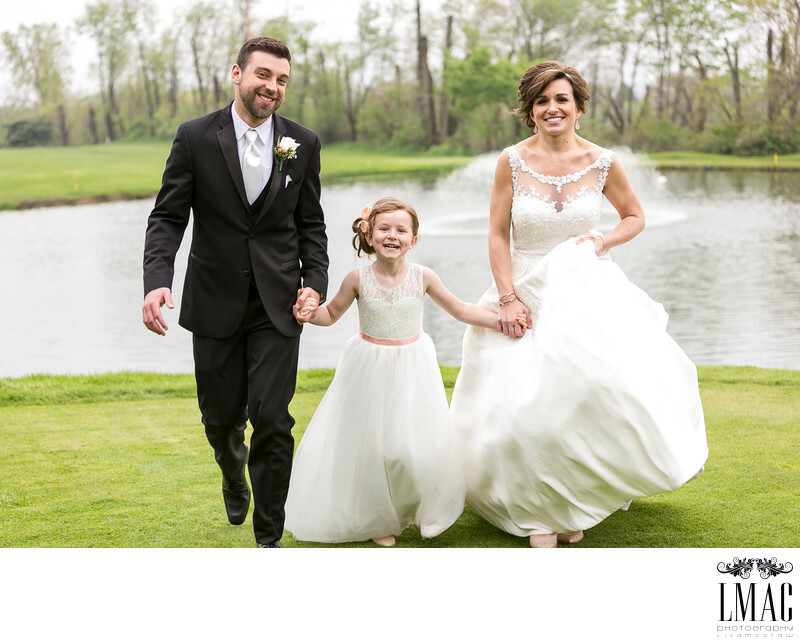 Stephanie and Matt's wedding ceremony was held at St. Albert the Great in North Royalton, Ohio and their reception was held at the Medina Country Club. Stephanie and Matt also chose the Old Cleveland Courthouse in downtown Cleveland for their location wedding photos. The Old Cleveland Courthouse is a popular wedding venue for both ceremony and receptions but also for wedding photography. The Old Cleveland Courthouse features marble grand staircases, a large space to photograph bridal parties, and little tucked in areas that are very 1940's inspired. LMAC Photography has photographed many weddings at the Old Cleveland Courthouse, it is one of our favorite Cleveland wedding photography locations. This particular photo is from the grounds of the Medina Country Club...a NE Ohio wedding venue favorite. Location: 5588 Wedgewood Rd, Medina, OH 44256.